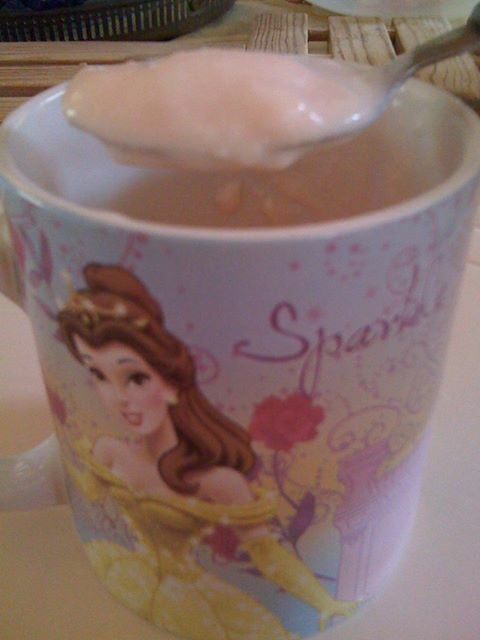 Yogurt has been known as a good source of the body's calcium intake to have stronger bones and teeth. Moreover, yogurt is rich in probiotics that help strengthen your immune system. This delicious, healthy food alternative is nutritious since it is rich in B-2 and B-12 vitamins, Potassium and Magnesium. This cultured dairy product that can be made from whole, lowfat or skim milk from cow's milk, goat's milk or any type of milk source. 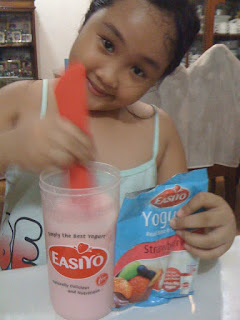 If you like yogurt so much, you will find preparing Easiyo yogurt at home beneficial. Not only does this help you save money, EasiYo assures that you make a quality product at home anytime. We purchased an EasiYo starter pack that includes the EasiYo Real Yogurt Maker and EasiYo Yogurt jar; the EasiYo Yogurt Base and Culture, and an EasiYo Recipe Book to get you started with cooking. EasiYo Yogurt making is as easy as three steps. Half-fill EasiYo Yogurt Making jar with cold water. Next, add the contents of sachet and mix well. Fill jar with cold water and mix again. Remeber to put in the red regulator inside EasiYo Yogurt Maker. Pour boiling water up to the top of the regulator. Place EasiYo jar inside. Then let the yogurt set for 12-24 hours. You may pull out the jar as soon as the yogurt sets in six hours if you’d like a milder yogurt though. Remove EasiYo jar from Yogurt Maker after the desired consistency is reached and chill the jar in your fridge. 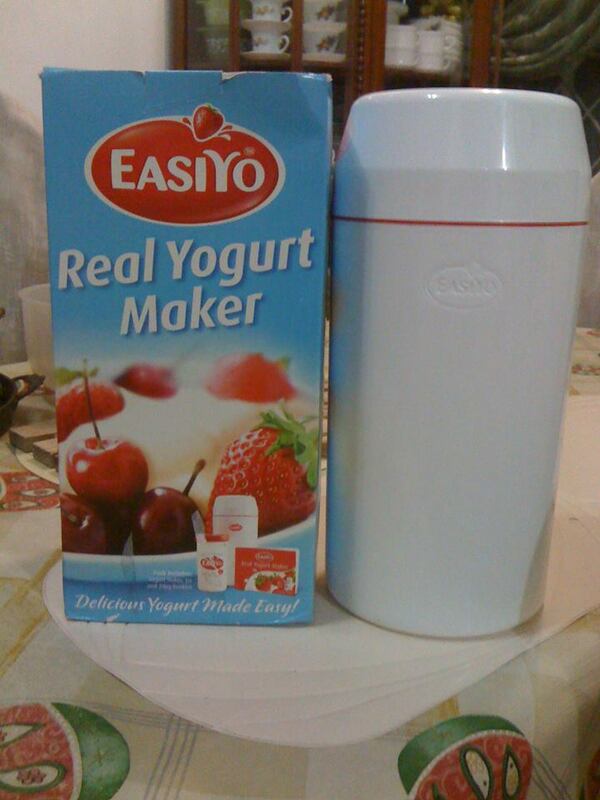 An EasiYo pack makes 1 liter of fresh yogurt. EasiYo yogurt comes in natural, strawberry, vanilla, banana, lemon, Greek, Greek & Honey, strawberries & cream, blueberries &cream as well as in mango flavors. You may opt to enjoy it on its own or top it with sliced fruits and syrup. EasiYo yogurt can be used as a healthier alternative to mayonnaise and cream in your favorite dishes. EasiYo allows you to make some homemade yogurt that will stay great-tasting and nutritious for up to two weeks in your fridge. EasiYo yogurt maker and yogurt sachets are available at leading supermarkets and drugstores like SM Hypermarket, Rustan’s Supermarket, S&R, Landmark Supermarket, Shopwise, Robinsons Supermarkets, South Supermarket, and Unimart. Wow! Yogurt lover here! I didn't know there's something like this! I usually do my grocery at Robinson's but I'll definitely get this when I go to SM Supermarket :) Thanks for sharing! Ooo, the yogurt maker looks so cool! I love yogurt as well, and there's so many yogurt face products on my vanity as well hehe.